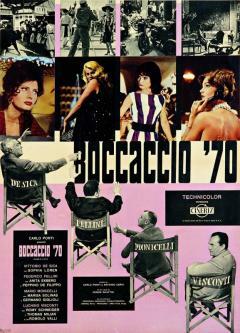 The other film episodes are: Renzo e Luciana by Mario Monicelli, Il lavoro by Luchino Visconti and La riffa by Vittorio De Sica. Doctor Antonio, an unbending moralist, waged a personal war against spreading immorality. He improvised sermons in front of a boy-scout audience, he bothered couples looking for intimacy, he even tore off covers from magazines displayed at newspaper kiosks. He got really angry when a provocative billboard showing a smiling buxom woman, advertising 'Drink more milk', was hung just below his windows. He made an unsuccessful effort at having the billboard removed. He then decided to throw ink bottles onto the billboard to stain it. 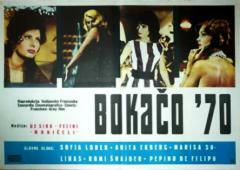 The billboard was then censored by local authorities but heavy rains uncovered the tempting woman’s body once again. This image started haunting him in his dreams until he was found having hallucinations on the billboard he had climbed. While Doctor Antonio was being driven to hospital by ambulance Cupid was smiling at him scornfully. 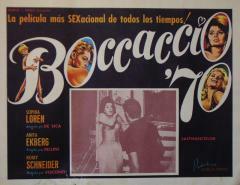 For several weeks during the summer of 1961, Federico went on playing with Anita in the perfect reproduction of the EUR building prepared by production designer Piero Zuffi. The Corriere dei Piccoli–like story became a Swiftian satire, an allegoric moral tale challenging the Philistines. Peppino’s character is obsessed with Anita’s explosive image. However, Anitona (Anita’s nickname) is tense. She’s no longer the happy-go-lucky Viking of La Dolce Vita. She’s an international movie star now, and she is well aware of this. Her new concerns have changed her personality: she is more difficult to deal with. Fellini would no longer have been able to ask her either to dance barefoot in Caracalla throughout the night or to get fully dressed into the Trevi Fountain. Actually, of all the people inhabiting the miniature EUR building, Anita is apparently the one having the least fun. Some people said she was upset because she didn’t know that her part was supposed to be only a picture on a living billboard, and she wanted a real role to play. Anitona spends most of her time in her trailer watching TV, but when she’s on the set and Fellini shows her how to walk along the miniature houses and streetlights, she embodies the eternal feminine again, as she did in La Dolce Vita. 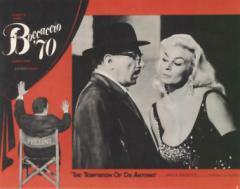 With “Le tentazioni del Dottor Antonio”, Fellini took a break. Being a good Catholic, he wanted to entertain his audience, and he succeeded. He touched upon one of the most grotesque aspects of some moralizing campaigns. 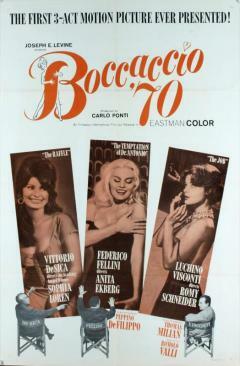 In the film, he was able of directing Peppino De Filippo extremely well, as he made a great performance. He then gave Anita Ekberg the chance of showing how good she was, and then choose a great group of character actors who acted with said two great actors. 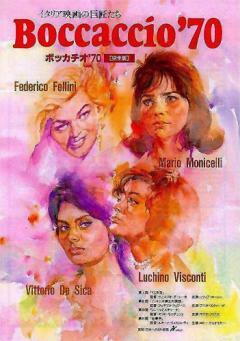 The author of La Dolce Vita really astonished us. 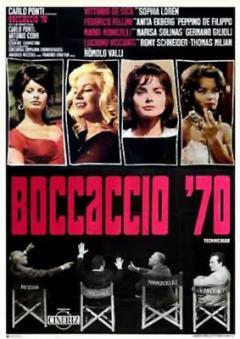 Fellini abandoned (…) mystic anxieties and morbid and corrupting complacency, and came back to his origins, as in “Lo sceicco bianco”. Fairy and monstrous elements form an alliance against the four knights of a modern Apocalypse: hypocrisy, stupidity, intolerance and lies. Fellini’s polemical intent is at the very heart of this episode (…). He now defends La dolce Vita clearly and continuously refers to it. In doing so he attacks his adversaries. (…) It is a ruthless and nasty tirade (…). Said willingness of adding new data, and maybe overdoing it, was inevitable. 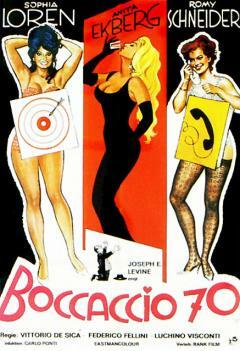 Nevertheless Fellini succeeds, also thanks to some clever and surrealist scenes.